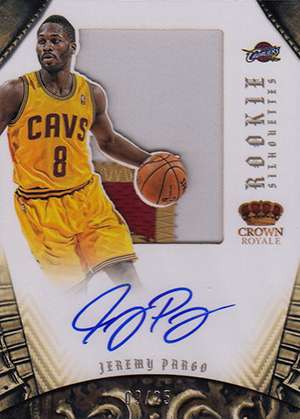 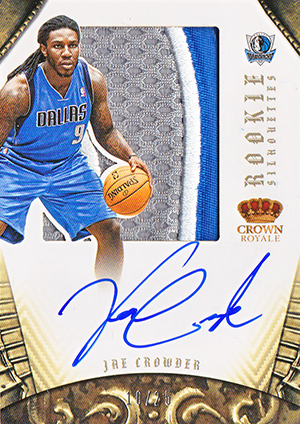 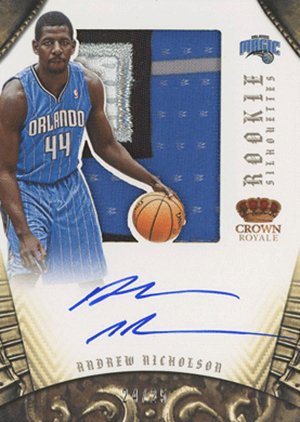 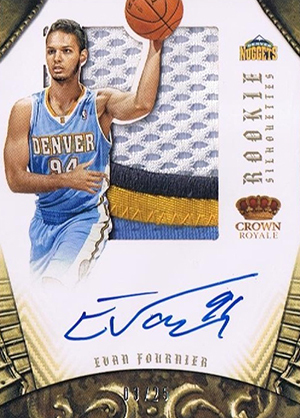 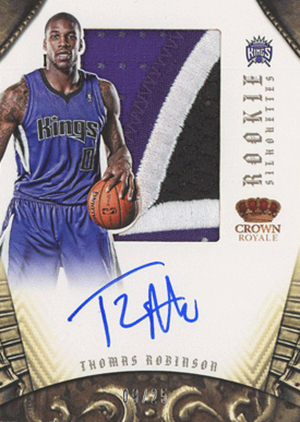 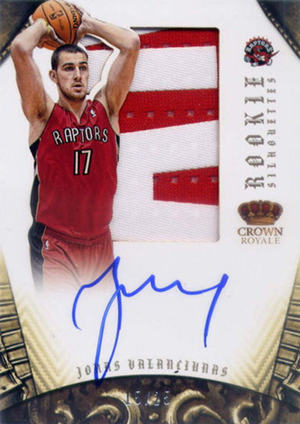 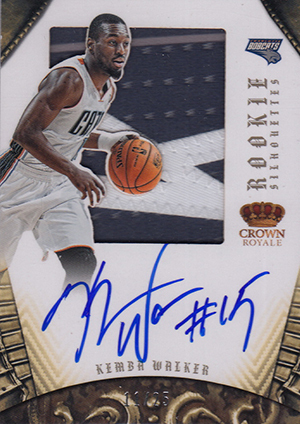 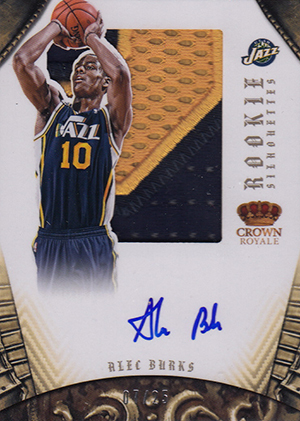 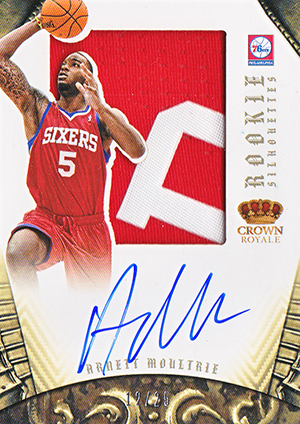 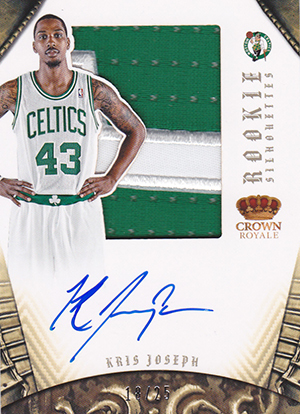 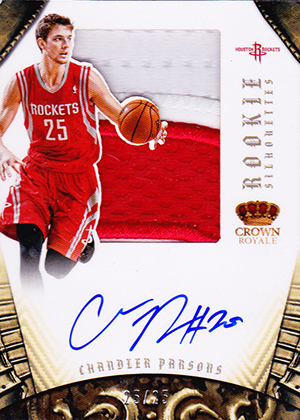 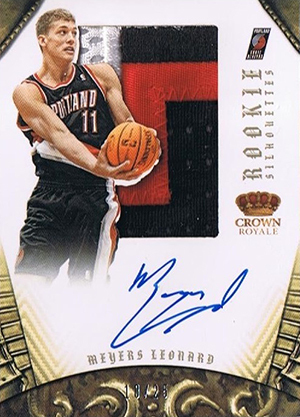 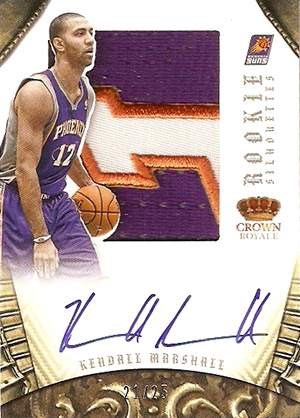 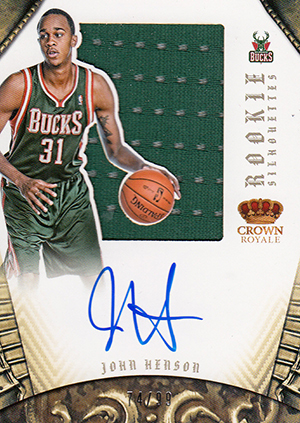 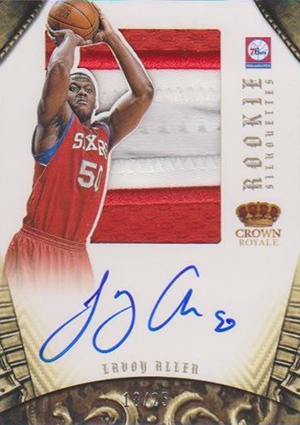 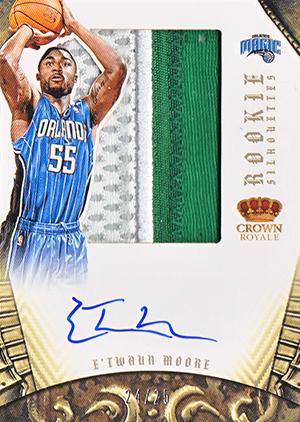 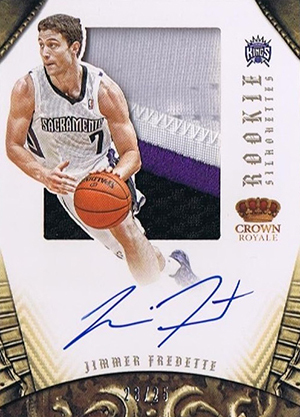 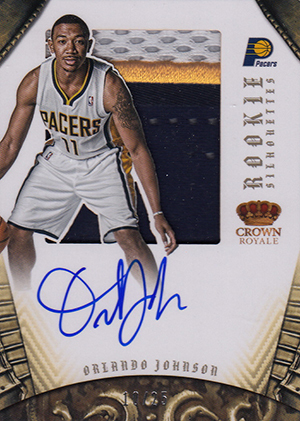 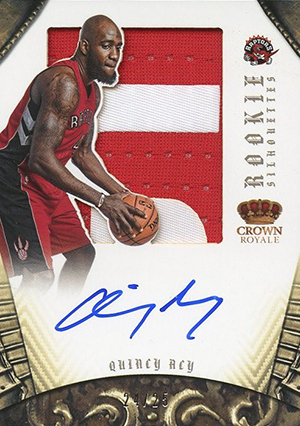 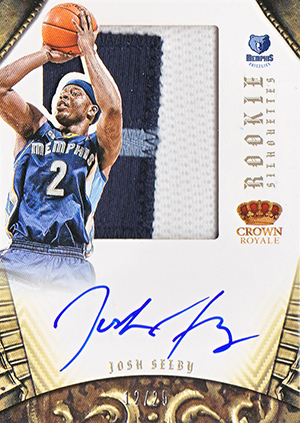 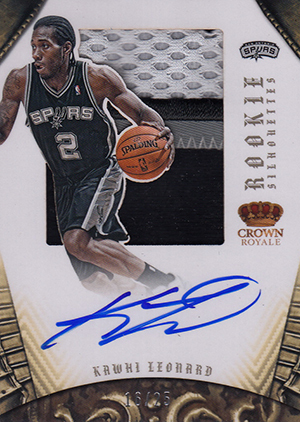 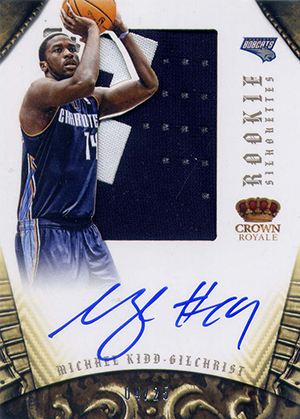 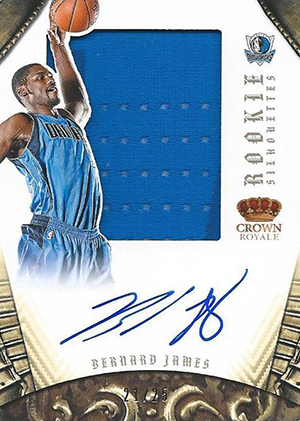 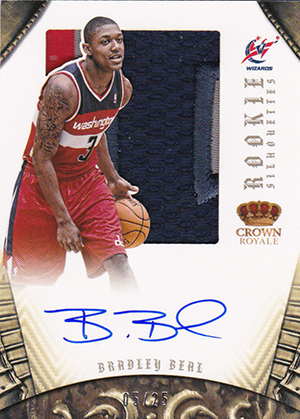 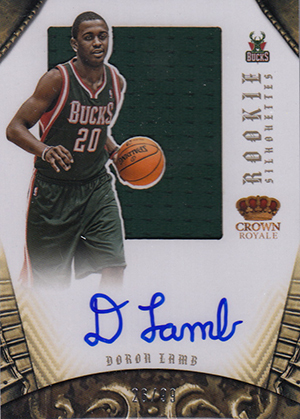 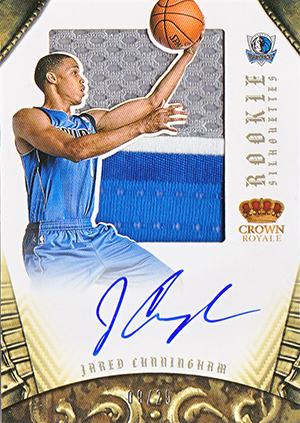 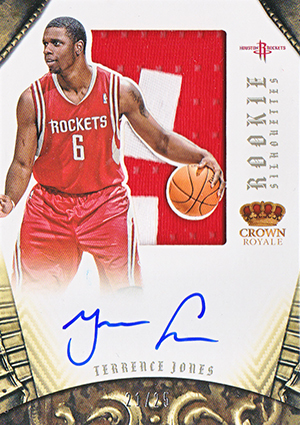 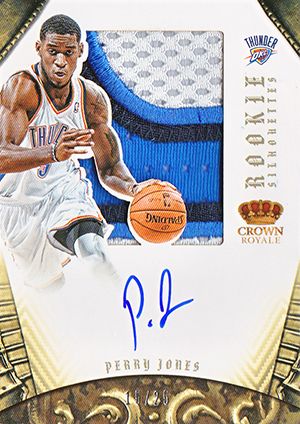 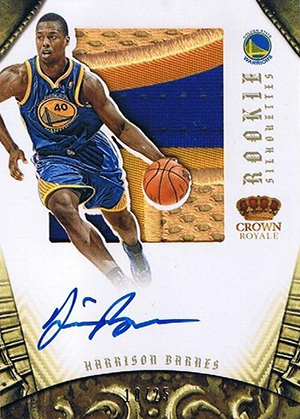 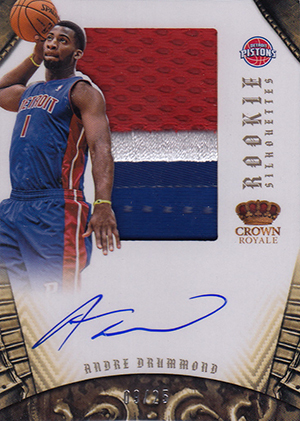 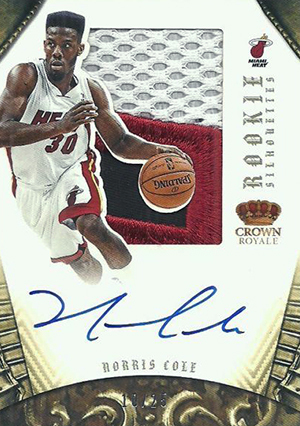 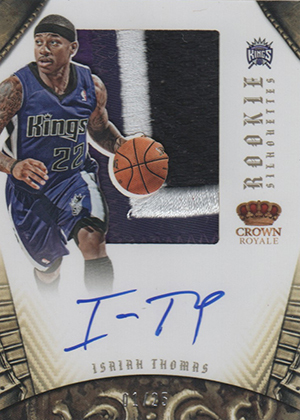 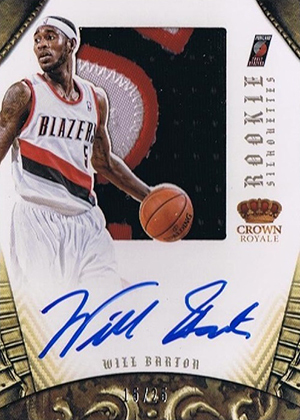 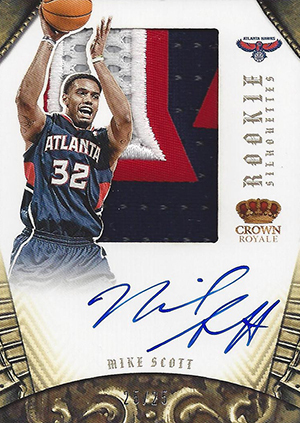 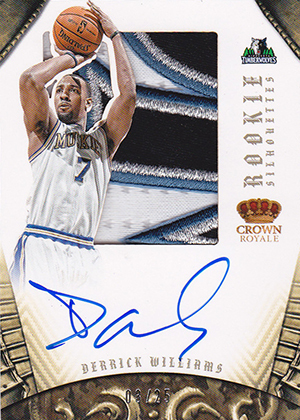 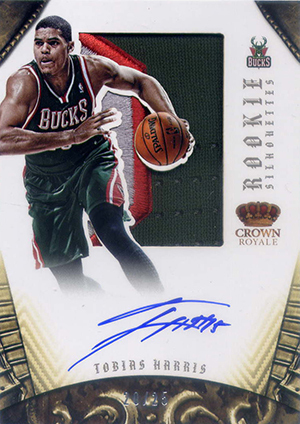 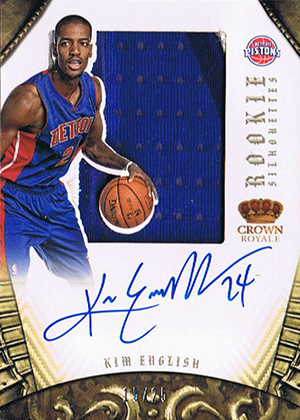 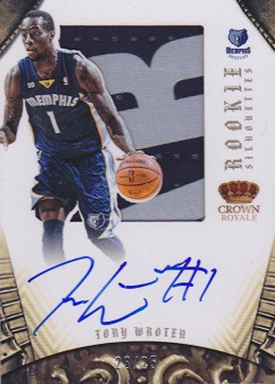 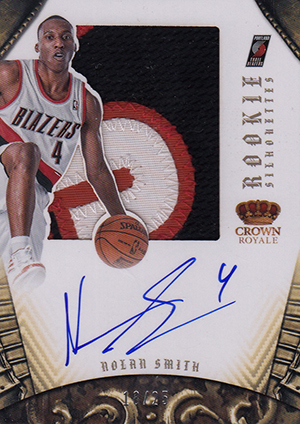 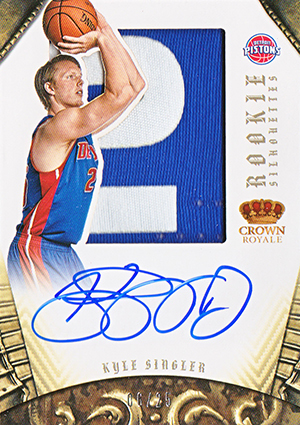 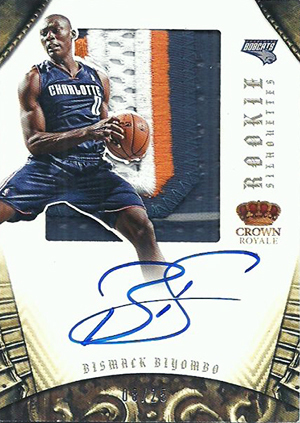 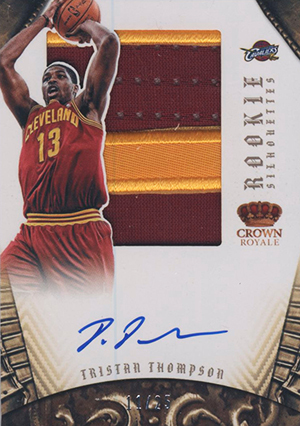 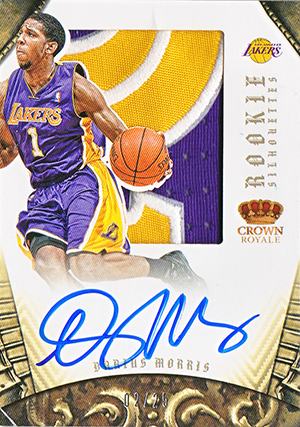 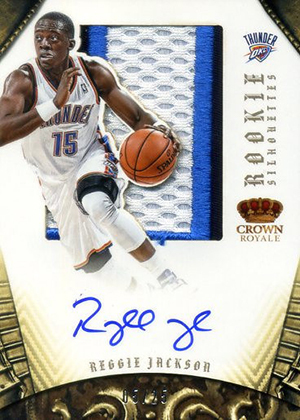 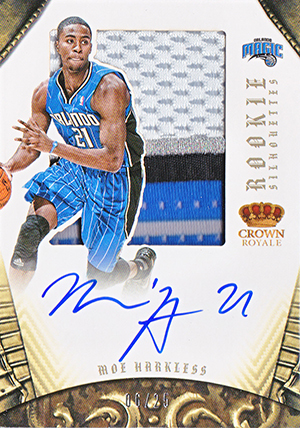 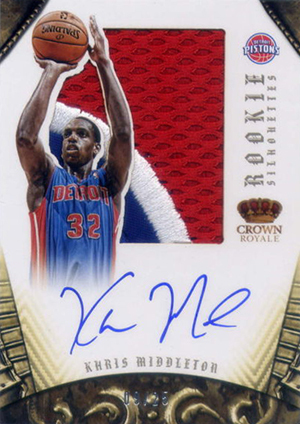 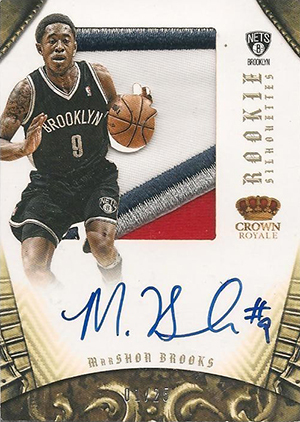 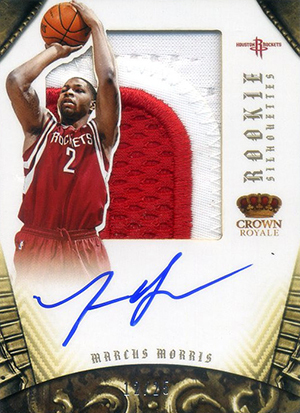 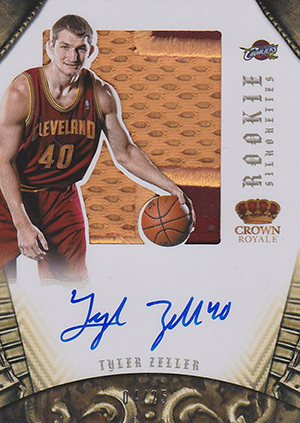 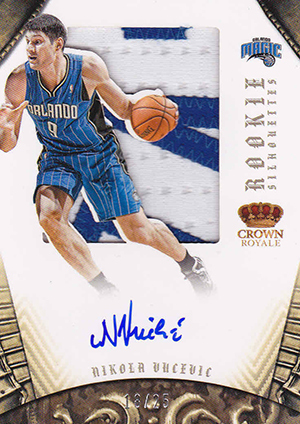 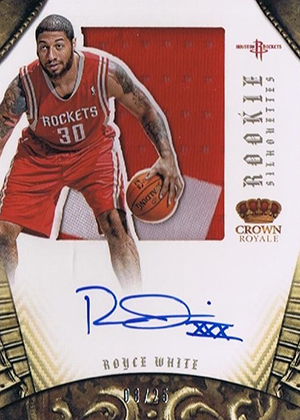 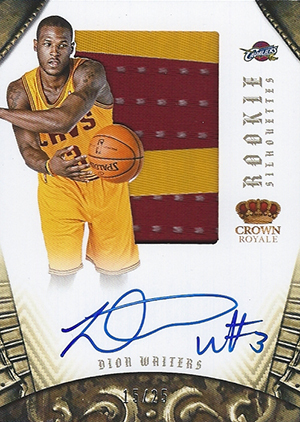 With their large jersey and patch windows, on-card autographs and distinct layered design, the Rookie Silhouettes in 2012-13 Panini Preferred Basketball are some of the most lavish rookie cards of the year. 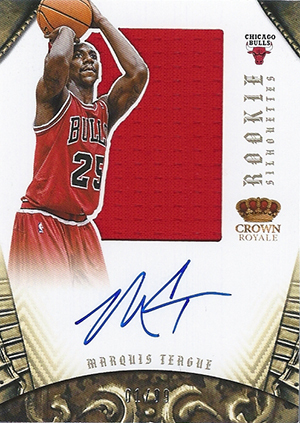 They're also emerging as some of the most popular. 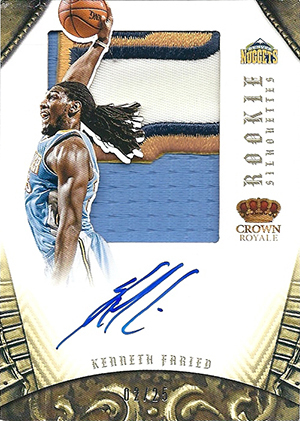 There are 81 cards in the 2012 Panini Preferred Basketball Rookie Silhouettes subset. 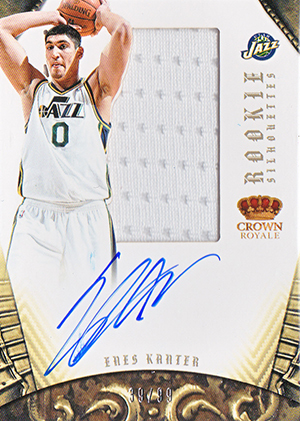 Spanning players from both the 2011 and 2012 draft classes, they stick with the year-long double rookie crop stemming from the shortened 2011-12 season. 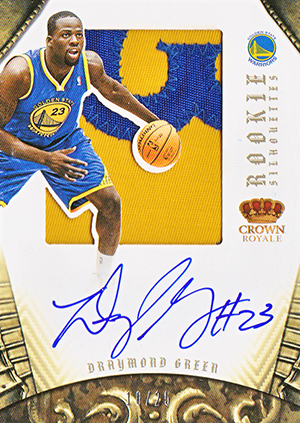 Most are numbered to 99, although a handful have a couple less. 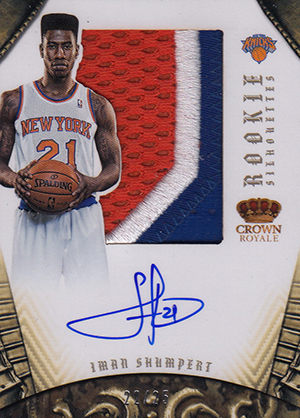 Shop for 2012-13 Panini Preferred Basketball Rookie Silhouettes on eBay. 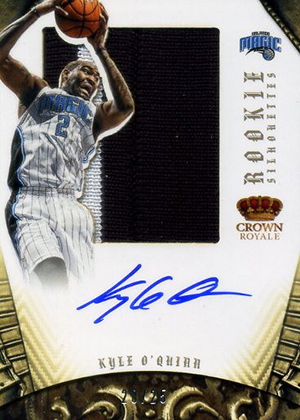 Prime versions that have premium swatches or patches come numbered to 25. 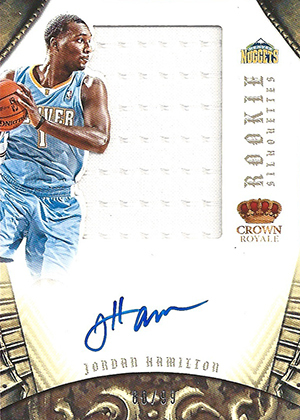 All players except Jordan Hamilton have a Prime parallel. 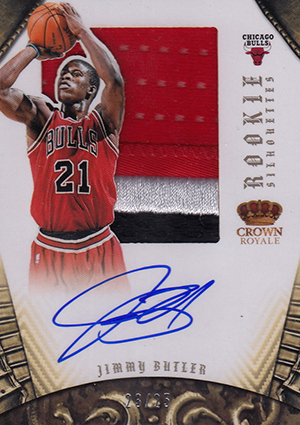 These have been moving very well, with many selling early on for a few hundred dollars a piece. 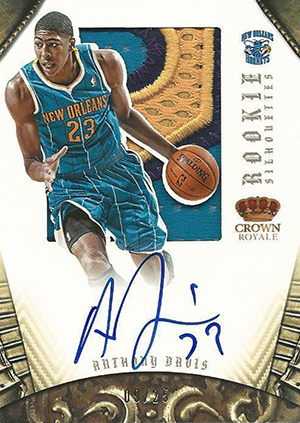 A couple of top-tier players like Irving and Anthony Davis have reached four figures. 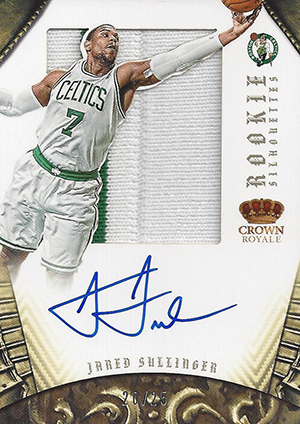 The first two 2012-13 Panini Preferred Rookie Silhouettes Prime Kyrie Irving cards sold on eBay went for $5,200 and $5,000. 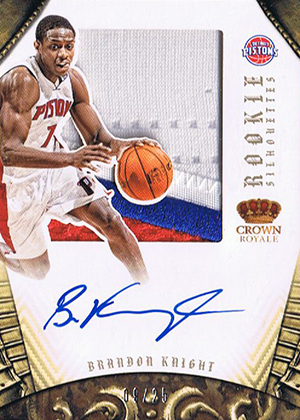 Below is a full Rookie Silhouettes gallery, most of which are Prime versions numbered to 25. 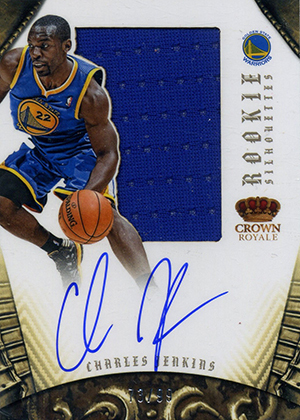 There's also a checklist and redemption card details further down. 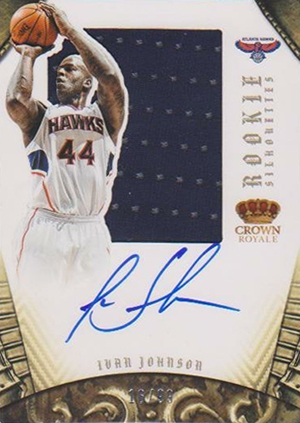 You can also click on the tab above for a real-time hot list of the most-watched cards currently listed on eBay. 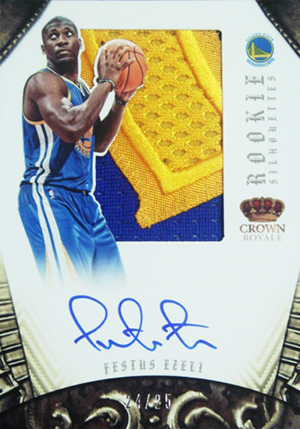 Click on a card for a larger view. 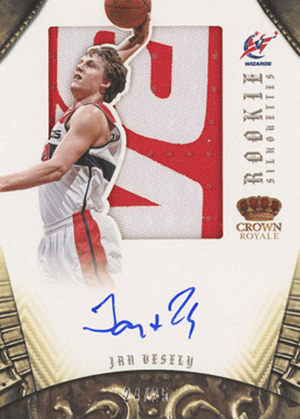 Redemptions and redemption cards are not pictured.